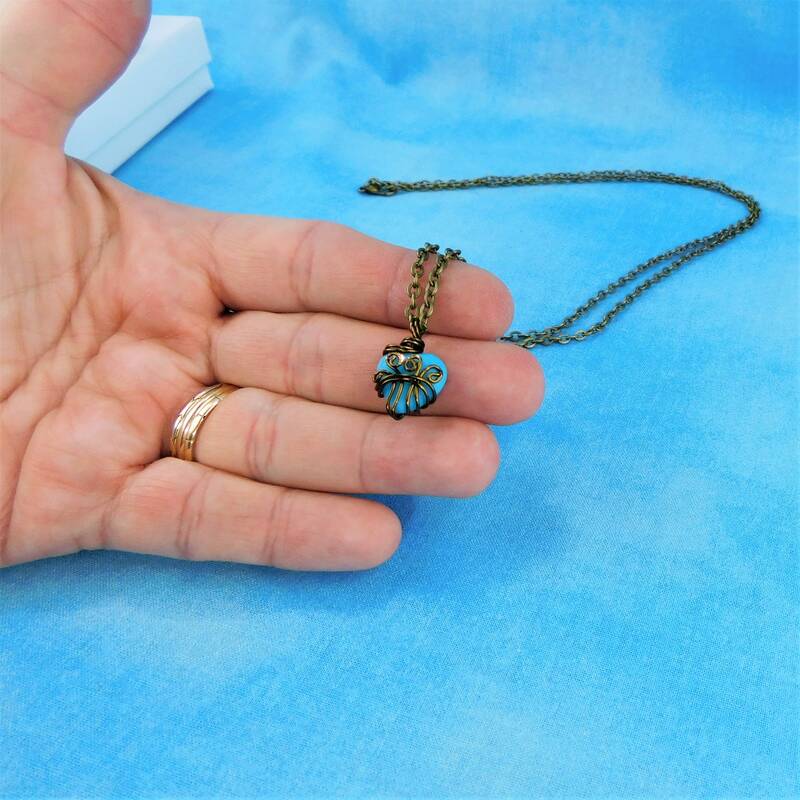 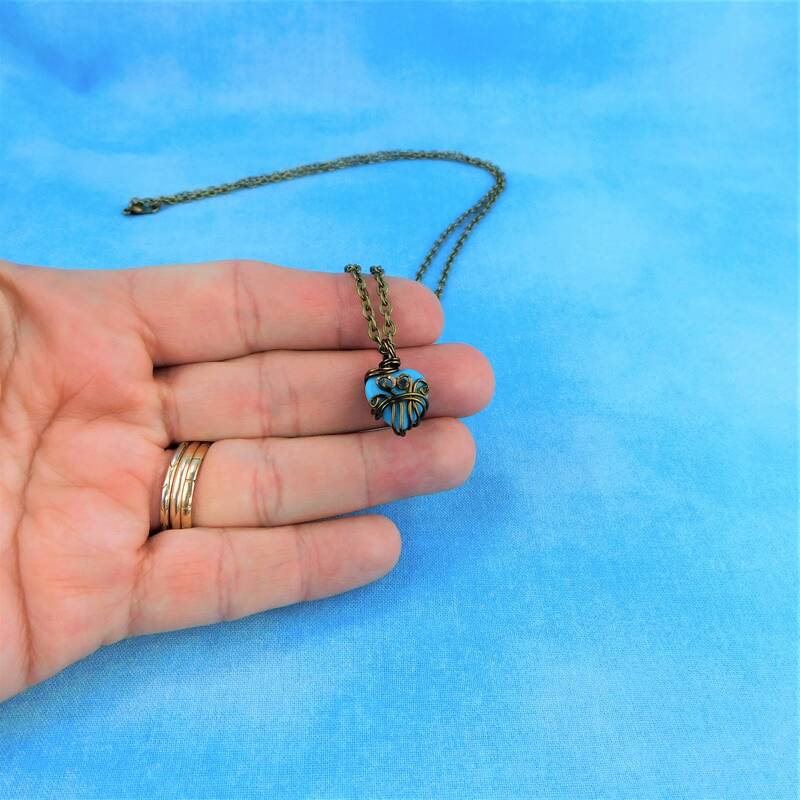 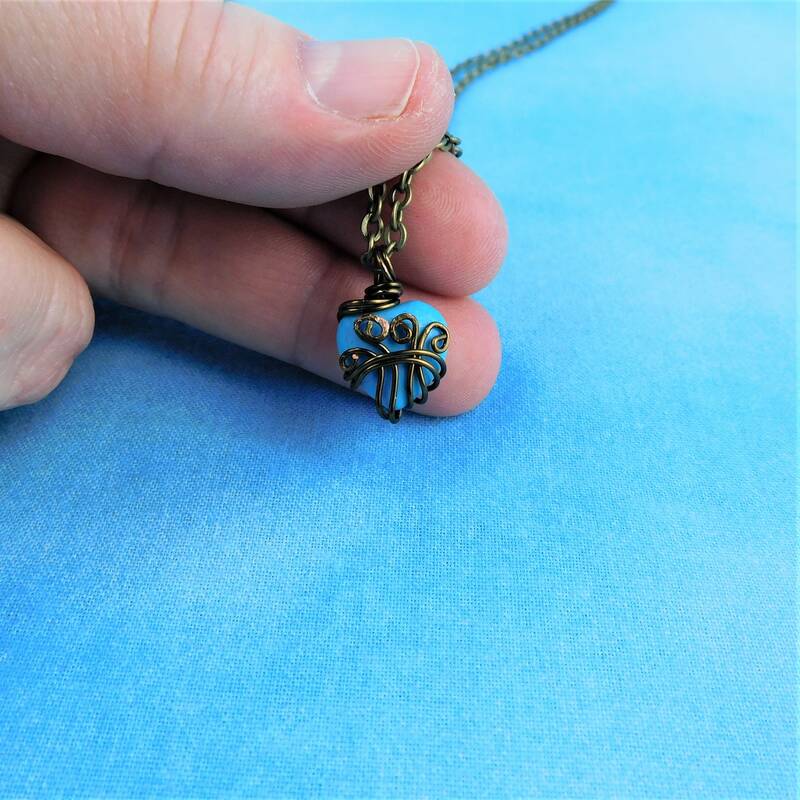 A 1/2 inch Turquoise Howlite heart is artistically wire wrapped with non tarnish bronze colored copper wire. 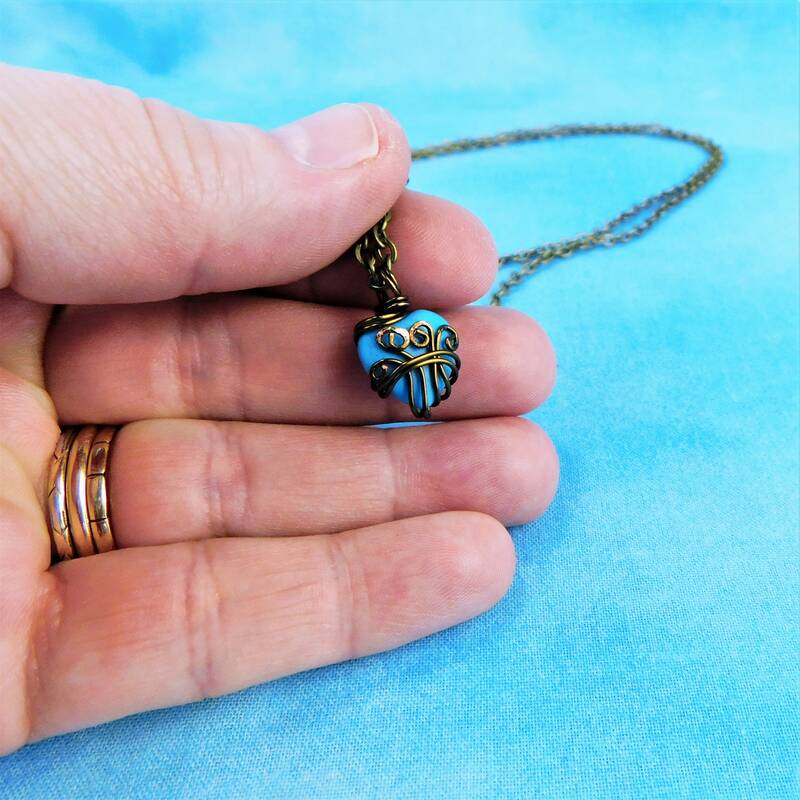 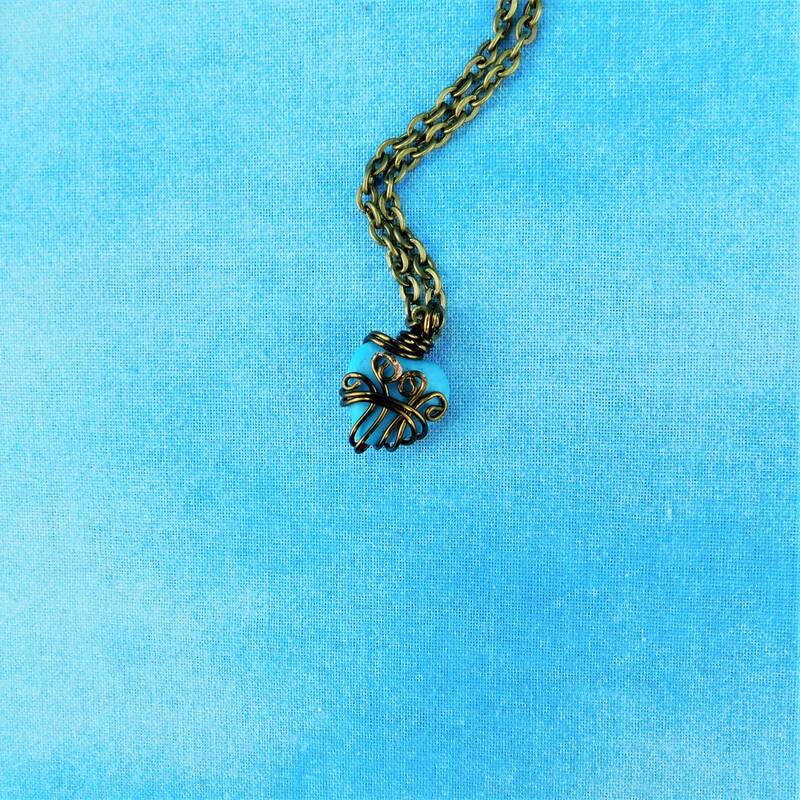 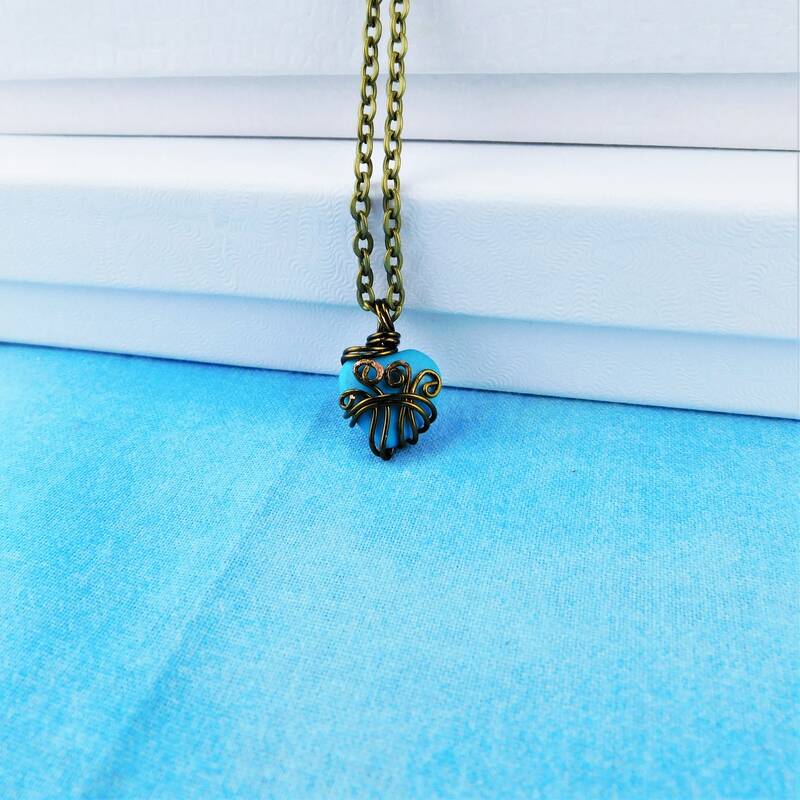 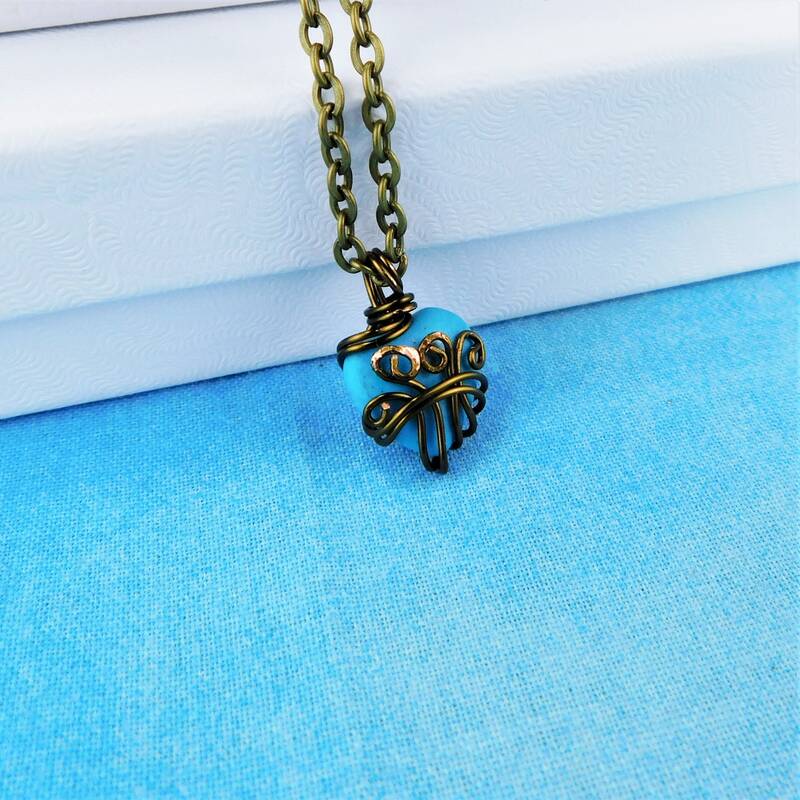 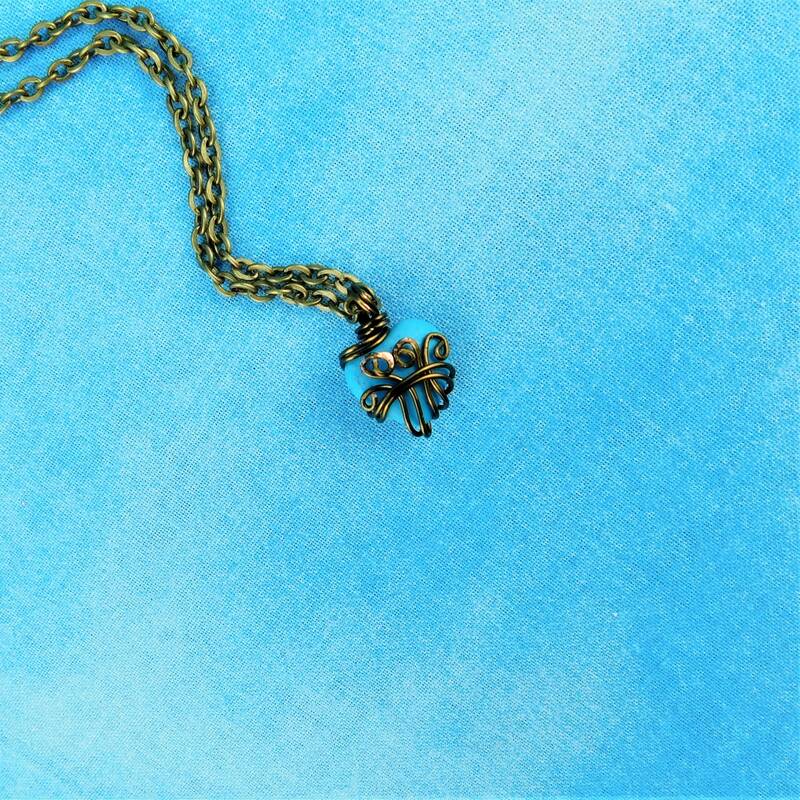 The bright turquoise color of the heart and the rustic bronze of the wire, give this beautiful necklace a rustic feel. 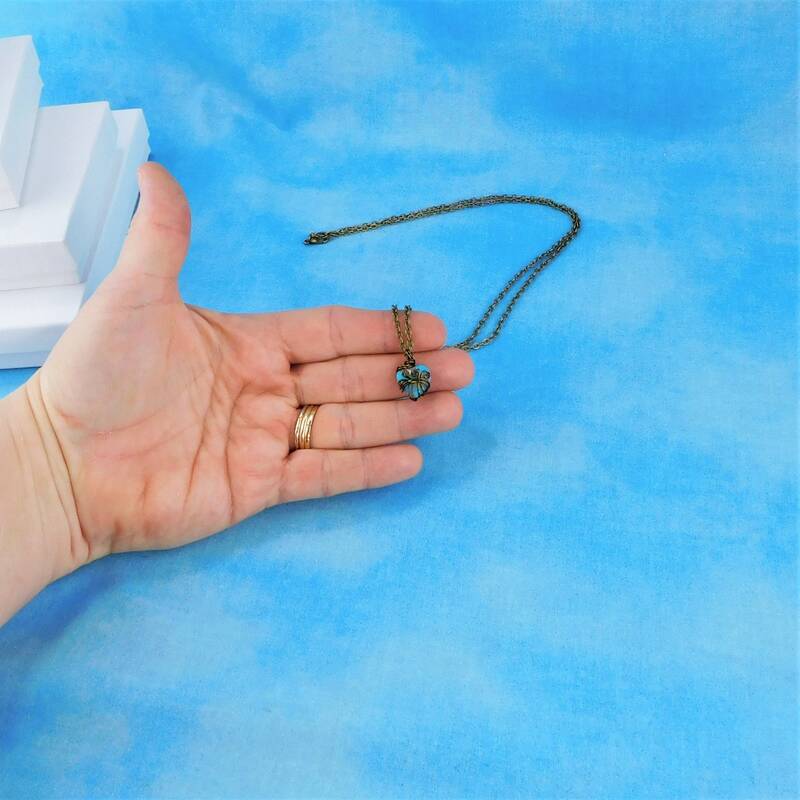 Turquoise Howlite is an interesting gemstone that coordinates with many colors and styles. 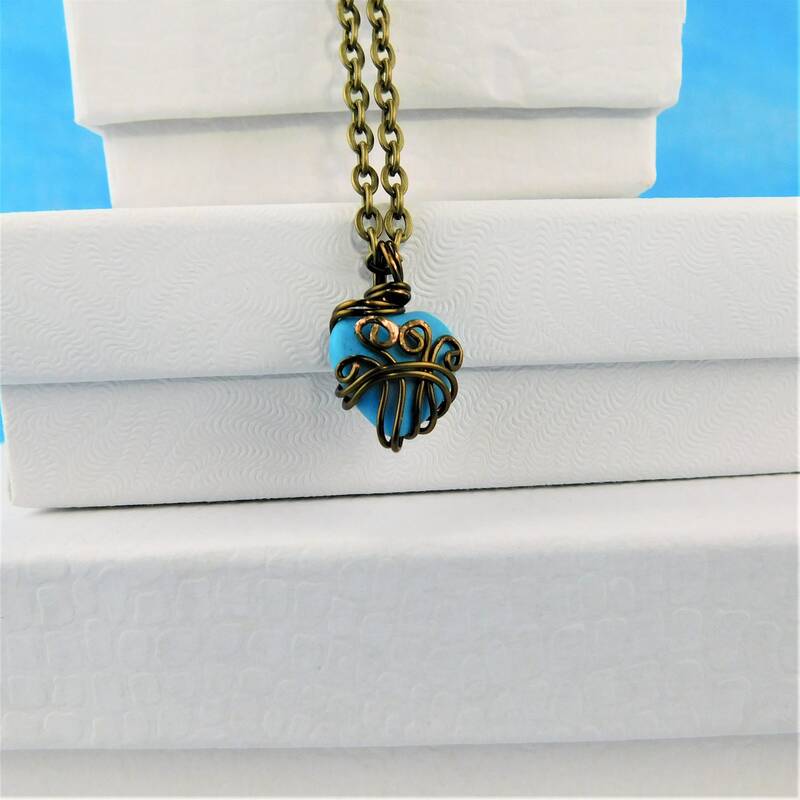 This pendant is an understated focal piece that is eye catching but does not overpower other elements of your outfit.